Twinkles The Party Shop introduces Delhi home dA�cor brand, Navya. 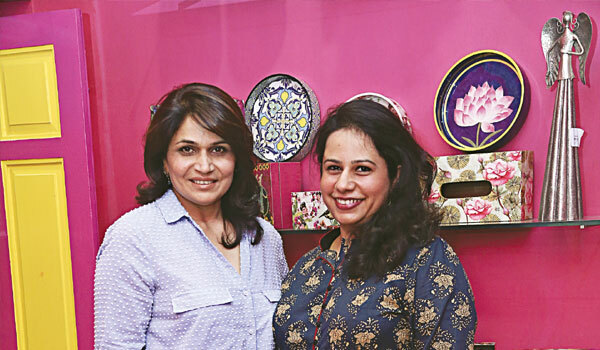 The beginning of this week saw Twinkles The Party Shop introduce Chennaiites to the five-year-old Delhi brand, Navya, over conversation and high tea. a�?Customers were regularly asking us for exclusive gifts,a�? says Deoli Kohli (35), the owner of Twinkles, who has expanded their repertoire. Now the store offers a selection of gifts and home dA�cor, along with their party supplies. Look for hand-crafted boxes, vases and curios, as well as Navyaa��s one-of-a-kind home dA�cor. The idea for the collaboration came to Kohli on one of her many trips to Delhia��s shopping haunt, Meharchand Market. a�?I love to give my friends and family gifts and would always visit Navya,a�? says the party planner. a�?I love the distinctive designs and there was an immediate connect with Vimi (Singh).a�? A self-taught interior designer, Chandigarh-born Singh (47) is the creative force behind Navya and has undertaken projects for several film and TV personalities, the latest being actor Tisca Chopra. Her forte is her unique vintage and English rose prints. a�?I have a passion for vintage and so it reflects in my store. We can also customise products keeping a theme in mind,a�? says the law graduate and wife of a fighter pilot. Singh credits her passion for design and travel as her biggest influences. At Twinkles, expect Singha��s unique digital-print cushions (we liked her Buddha-inspired zen designs), table linen (coloural Cath Kidston-reminiscent floral motifs), faux foliage, decorative mirrors and other small odds and ends such as trays, book-ends and magazine stands.